This report presents a synthesis of project-level mid-term reviews (MTR), carried out after 18 months’ implementation of the Building Resilience and Adaptation to Climate Extremes and Disasters (BRACED) programme. To help to answer this question, the Knowledge Manager (KM) Evaluation Synthesis and Support team and IPs took a realist approach when they carried out their MTRs. Using this approach, we worked together to understand how context interacts with project activities to make a change process happen (often referred to as a ‘mechanism’) leading to a particular outcome and, ultimately, to improved resilience to climate extremes and disasters. IPs have used the insights they gained from using the realist approach to make changes to the way they carry out their activities in order to better achieve resilience outcomes. 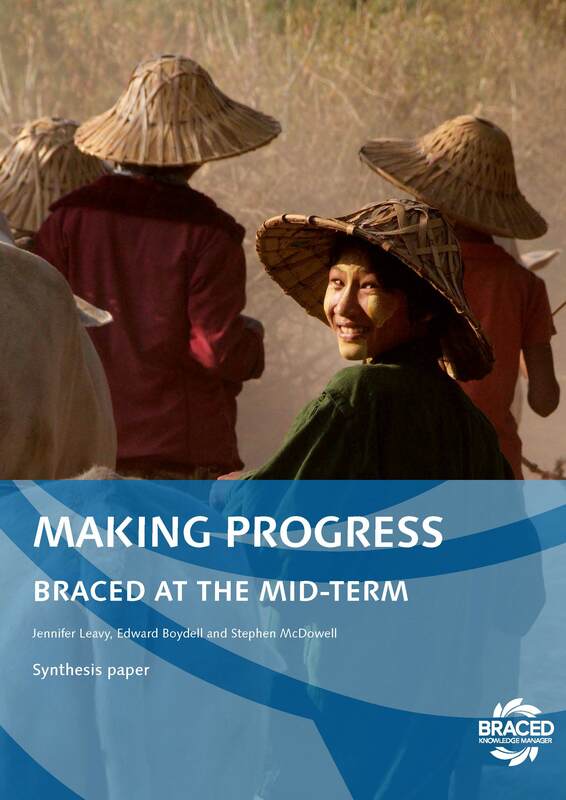 Lessons from the MTR process and synthesis also contribute to BRACED evidence and learning and to the wider stock of knowledge on designing and implementing resilience-strengthening programmes.